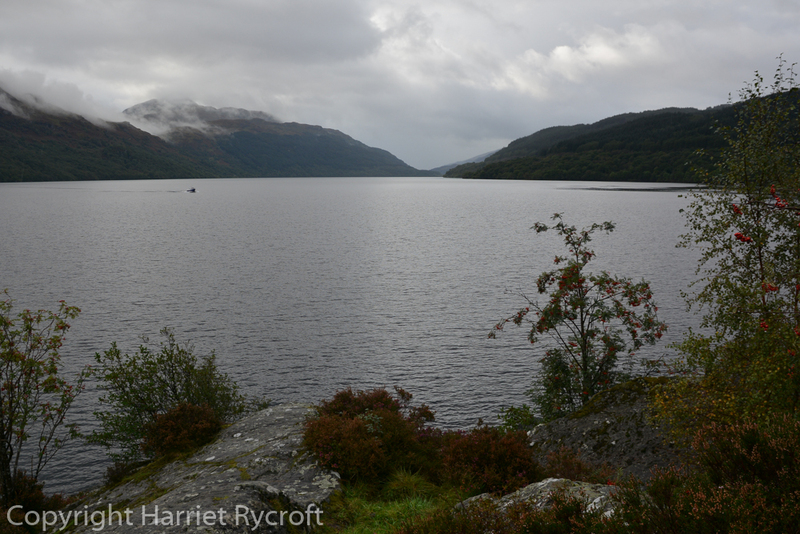 I’ve just been on a big northern road trip with my mother and my sister. 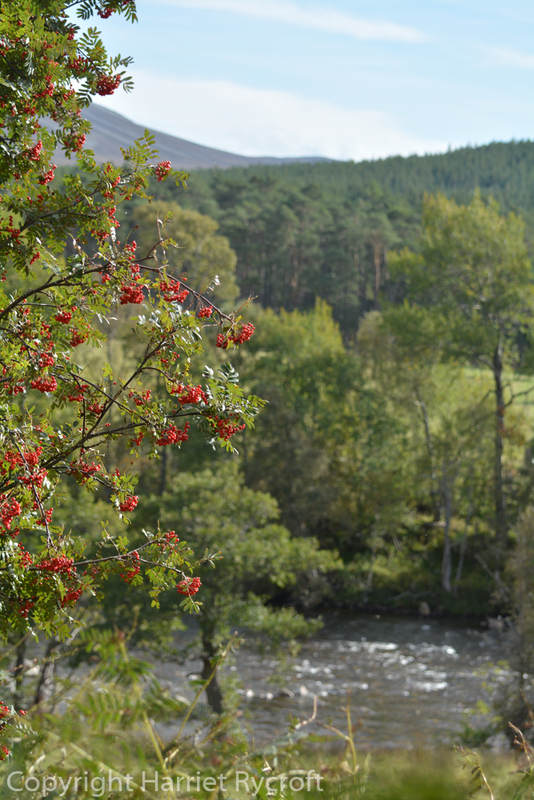 We drove uphill (well it seemed that way) from the Cotswolds to visit a cousin on the Black Isle, via the Lake District, Glencoe and the Great Glen, then we came down again via the Cairngorms, Edinburgh, the Northumberland coast and the Yorkshire Dales. Seven days of giggles, selfies, unfeasibly large breakfasts, gaping at scenery, a little too much wine, and walks. 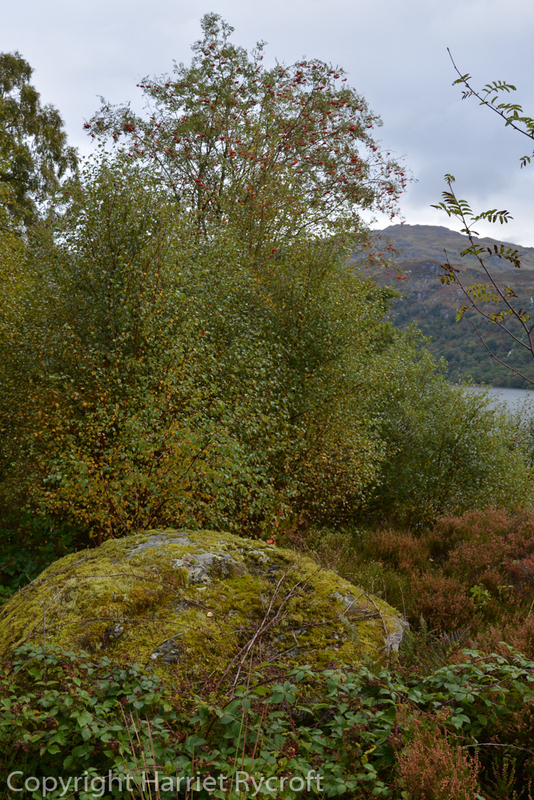 We bagged a lot of landmarks – and they are all in my photographic archive awaiting future blog posts. 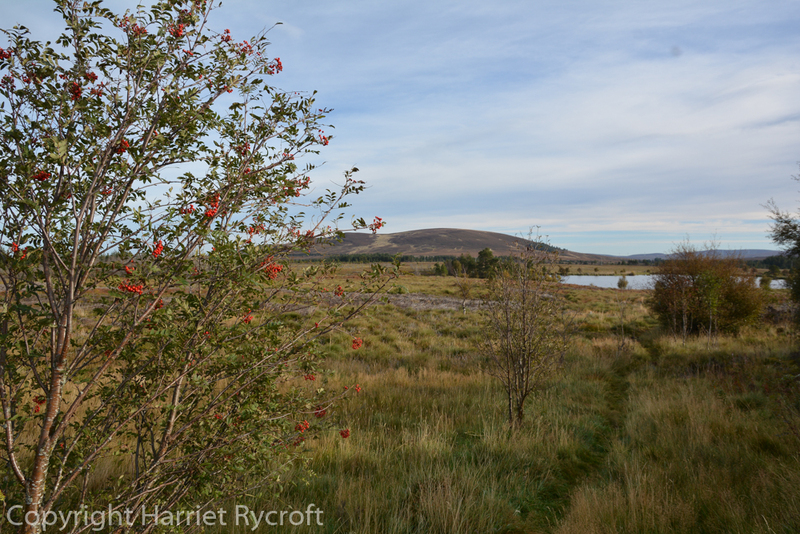 Every now and then I pulled the car in to a layby so that we could get out, stretch our legs, feel the rain/sun and the fresh winds of the north, listen to the curlews, look at the views, and take more and more photographs. 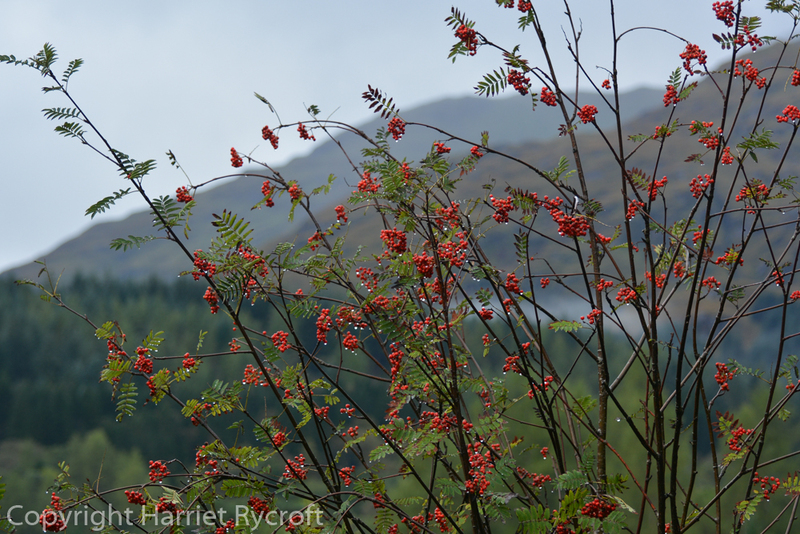 I began to notice that almost everywhere we went the rowan trees (Sorbus aucuparia) would sidle into my pictures. 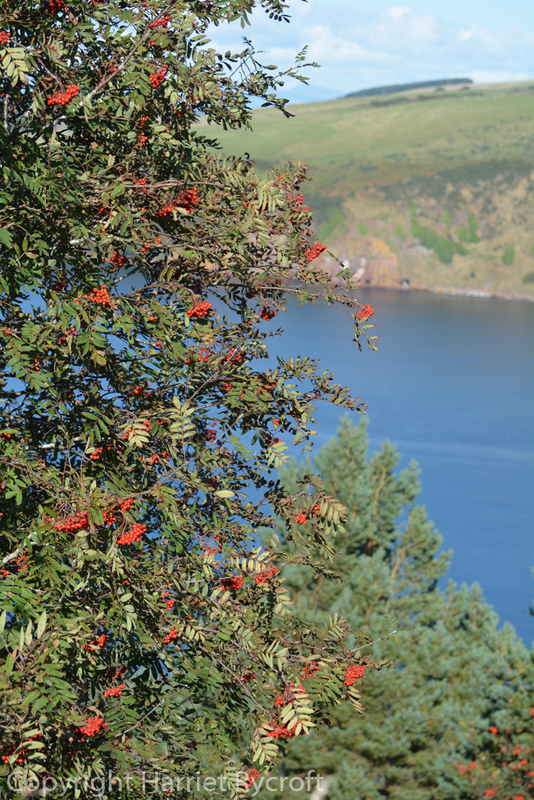 They are looking superb at the moment, it seems to be a good year for berries generally (or in this case, more correctly, pomes). Some achieve tree status, others are deer-nibbled bushes. These tough little pioneers seem to grow practically anywhere and sprout from roadsides, rocks, ruins and rooftops, wherever the birds happen to deposit their seeds. 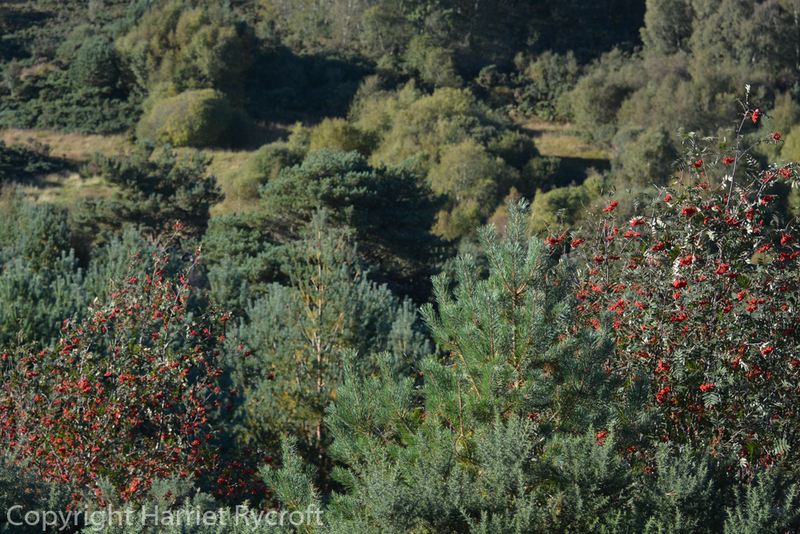 Generous clusters of tiny red baubles decorate mountains, moorland, cliffs and the edges of lakes and lochs, ready and waiting for the migrant flocks of redwings and waxwings which will be here soon. 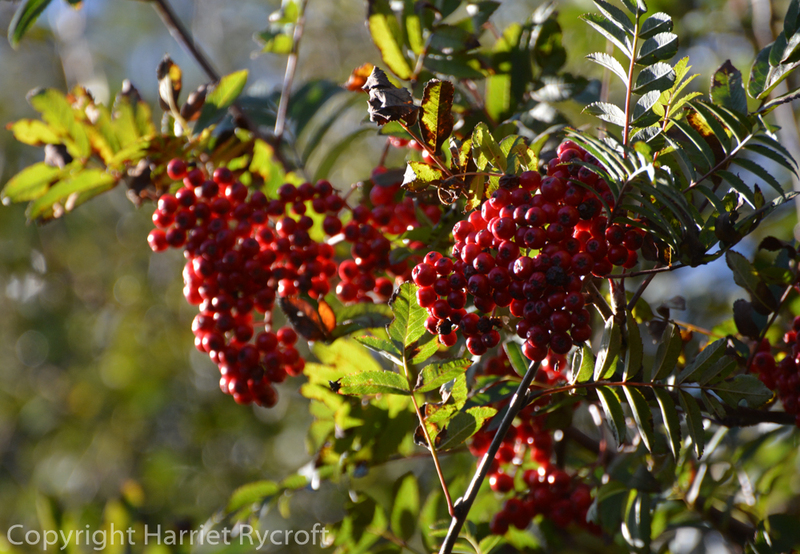 One of Sorbus aucuparia‘s common names is mountain ash – which caused a conversation in which I tried to explain that these trees are not in fact an ash (Fraxinus spp.) but just given that name because the pinnate leaves are similar in appearance. Just one of the many reasons why we need the binomial “Latin” names which people love to hate. 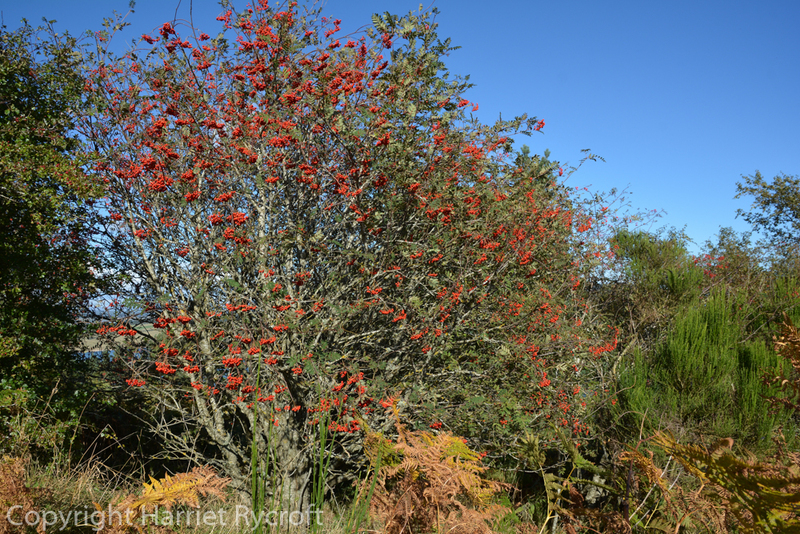 As an ex-classicist I happen to enjoy botanical Latin – I love common names too, in all languages (the Gaelic for rowan is caorann), but the scientific names give us clarity and have a beauty and resonance of their own. 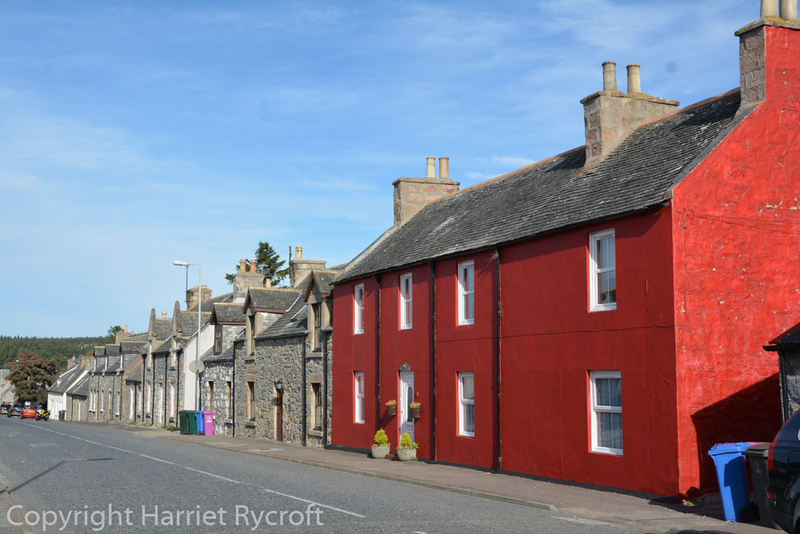 Boldness in Tomintoul – would you paint your house this colour? Lovely pics, particularly the one with the pearls of rain. I’m no classicist but I love the Latin names as a means of identifying plants regardless of which part of the planet you are in. Makes life easier. Even if I never know how to pronounce anything! Thanks Julieanne, glad you like the pics. I’ve forgotten all my Latin really but I still love languages of all sorts. It’s a shame that people associate classical languages with élitism but that’s just how it is. The pronunciation doesn’t matter a jot and yes, it’s great to have a scientific Esperanto. Gorgeous photos. 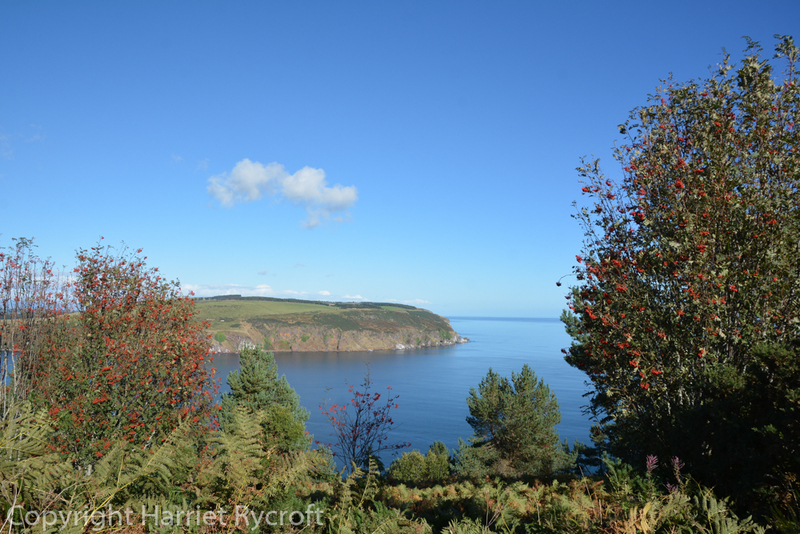 That blue sky! Comments on Latin reminds me of a trip to china where the tour guide and I spent the whole week just pointing at plants and identifying them in Latin. We had no other common language. Was a lot of fun. Thanks Karen. Your experience in China is a great illustration of the value of botanical Latin. Lucky you getting there! I’d love to go one day.